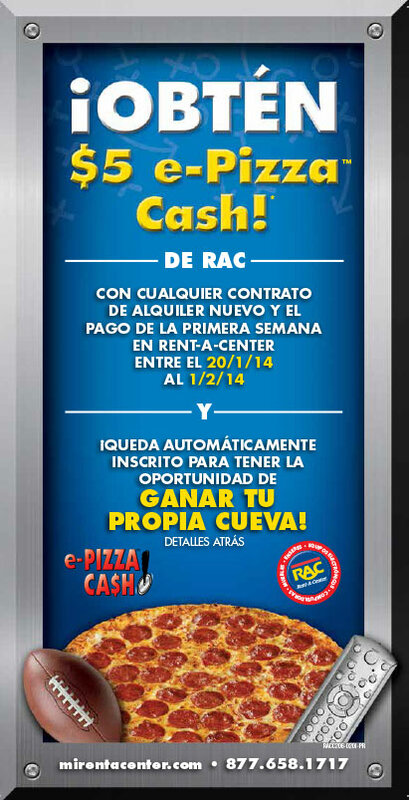 Between 1/20/14 and 2/1/14, any customer who signs any new rental agreement at Rent-A-Center in Puerto Rico and makes the first week’s payment will receive an e-Pizza Cash code. 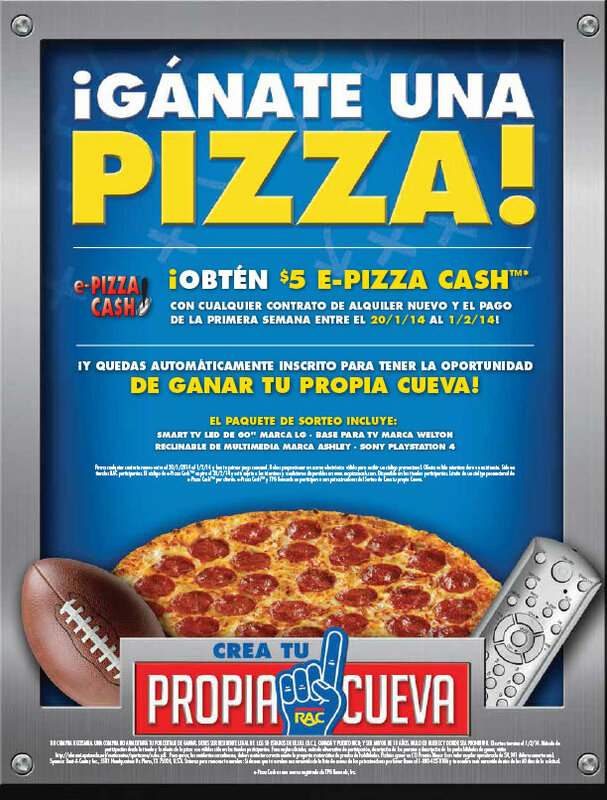 Each e-Pizza Cash Certificate is valid for $5.00 at participating e-Pizza Cash retailers. Certificates valid in Puerto Rico only.